Most preachers use a collection of digital tools to help prepare sermons. Until recently, there was no solution available that would provide a single resource that could help write, present and store your sermons. But Justin Trapp has created a fantastic resource called Sermonary that you should start using. Pastors are pressed for time. From social media connections to internal pressure to do more, pastors find their schedules filled with tasks and meetings and conversations that make it challenging to find time to write sermons. Pastors waste time organizing their research. From notes scribbled on legal pads to markups on digital resources inside a piece of Bible software, time and energy gets spent trying to remember what you studied and where you put it. Sermonary simplifies and speeds up your preparation. From templates to sermon building blocks, Sermonary makes it easy to organize your message in a format that you can use to deliver your sermon without having to take time to print a manuscript or outline. The Gospel and Race. Issues of racism (personal or systemic) or building communities that cross the lines of race are not incidental to the gospel. They are not implications. They are at the heart of the good news of Jesus. The Role of Women in the Development of Pastors. Anyone training for vocational ministry in seminary needs both men and women to help develop the competence and character necessary to pastor well. The Hard Road to Becoming a Multiethnic Church. The road to diversity is littered with well-meaning majority culture churches who hire a single person of color on their staff as the solution to their problems. Becoming a more diverse church will require patience and persistence. Consider the cost. It is one thing to see the good news of God’s people. It’s another thing to develop the conviction that people are equal, regardless of the color of their skin. But living and leading in that direction will not happen without a cost. Be wise and get ready. The road is bumpy and the climb is steep. No tribe has all the answers. Each tribe’s approach to preaching contains both wisdom and flaws. We need to learn broadly to shore up weaknesses and reduce our blind spots. Preach to the heart. Preachers must be winsome, not only contending for truth but compelling their listeners to respond by preaching to their heart. Preaching the gospel of Jesus in every sermon from the biblical text is a hallmark of Christian preaching. And because this news is so good - almost too good to be true - each of us who preach should consistently refocus our efforts on the motivational structure of people's hearts. Your perspective is limited. You are one person living in one place at a particular moment in history. Don’t assume you see the whole picture. You grow under stress. Healthy leaders are curious, looking to learn from others who challenge and stretch current thinking, values, and behaviors. Invest in “weird” relationships. The walls of resistance crumble fastest through conversations with people we trust. Church leaders are notorious for closing themselves off to other leaders with different perspectives. Healthy leaders intentionally build relational bridges to learn and experience a world much bigger than themselves. Leadership dies from self-inflicted wounds. Your unhealthy response to conflict and challenges creates a downward spiral of guilt and shame. You need to cover your bases. The Five Factors framework helps you build the resilience, endurance, presence, hope and ambition you need to thrive as a leader. New year, next step. The change you need will be achieved one step at a time. Clarify where you need to grow, simplify your plan and focus on the next right thing. The Five Factors Framework is designed to take the guesswork out of what matters most. If you want to thrive as a leader, invest in these five areas of personal health. You can’t hide from politics. Social media and a 24/7 news cycle make political news and opinion impossible to avoid. In a hyper-partisan political culture, no wonder we are exhausted and cynical. Your vote is not an expression of your identity. For Christians, we vote as an act of loving our neighbor. Rather than focusing on single issues, we vote for the candidate whose policies will be most conducive to a biblical vision of human flourishing. Find moments of possibility in your community. Churches influence policy, not by a preoccupation with national and international affairs. Instead, we pay attention to what God is already doing around us and point people to the hope that God is not done yet. If you are politically active, this conversation will challenge long-held assumptions. And if you have avoided politics. How well do I know myself? The Enneagram is a self-diagnostic tool. Without a basic level of self-awareness, I leave myself open to blind spots in my choice of type. How well do I handle complexity? 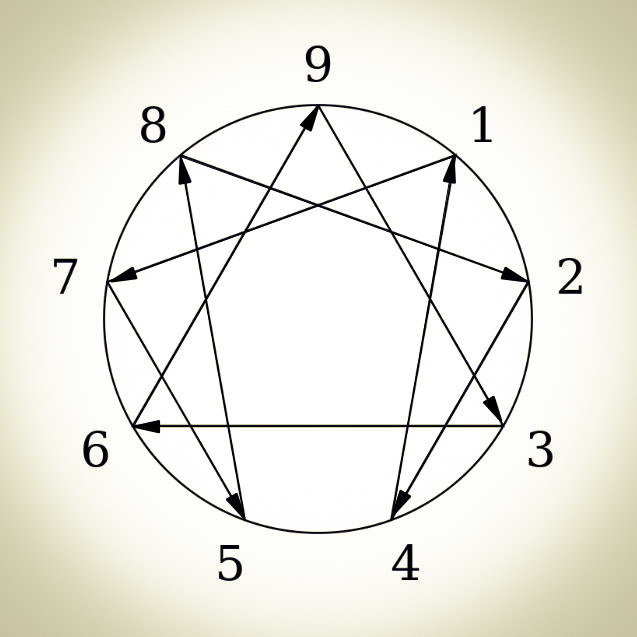 While the Enneagram’s number system is simple to understand, it is a rather sophisticated tool. Some personality types thrive in exploration; others need results with fewer variables. What do I hope to learn from the Enneagram? Because the Enneagram is multi-faceted, it is easy to find the answers you are looking for only to lose yourself as other avenues of exploration present themselves. If the Enneagram is clicking for you, then go with it. Just remember, wisdom comes from a multitude of counselors. The best personality system for you is the one that works for you. Still have questions? Use this to find the right system for you. The Enneagram may or may not be right for you. Not all systems are created equal, and no single system is right for everyone. To find out which system is best for you, here’s a simple diagnostic tool you can use to quit guessing and make a fully informed decision. Why is the Enneagram so popular? How to determine if the Enneagram is right for you.